A New Mexico-based apparel company partners with Scalable Press for DTG and poster printing. Skulls and Succulents is the vision of traditional artist and graphic designer, Keena Wolff. Wolff, a New Mexico native, launched her online apparel and accessories company to give people a cool, trendy way to put their Southwestern pride on display. Skullsandsucculents.com offers men’s and women’s apparel, including t-shirts, tank tops and long-sleeved shirts. Wolff also showcases her design prowess on custom art prints, posters, mugs, and stationery. 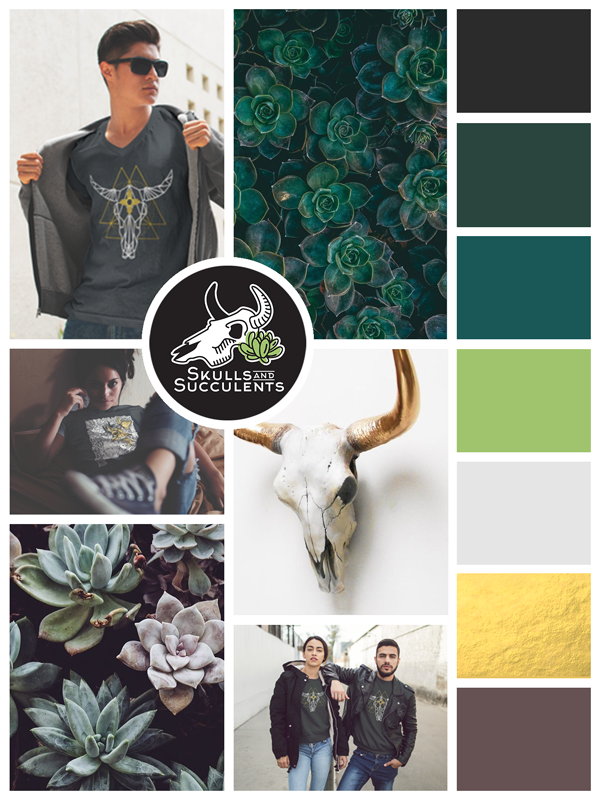 Scalable Press is proud to partner with Skulls and Succulents for all of their Direct-to-garment and poster printing. "Design is something I've been passionate about for decades." Inspired by her community and the breathtaking landscapes of New Mexico, Wolff creates geometric and nature-based designs that make for outstanding, eye-catching pieces. Check out their brand new Turquoise Series, and follow Skulls and Succulents on Facebook and Instagram to see for yourself. Have success stories? We love to hear them! Get your business featured in our Customer Spotlight! Contact blog@scalablepress.com.